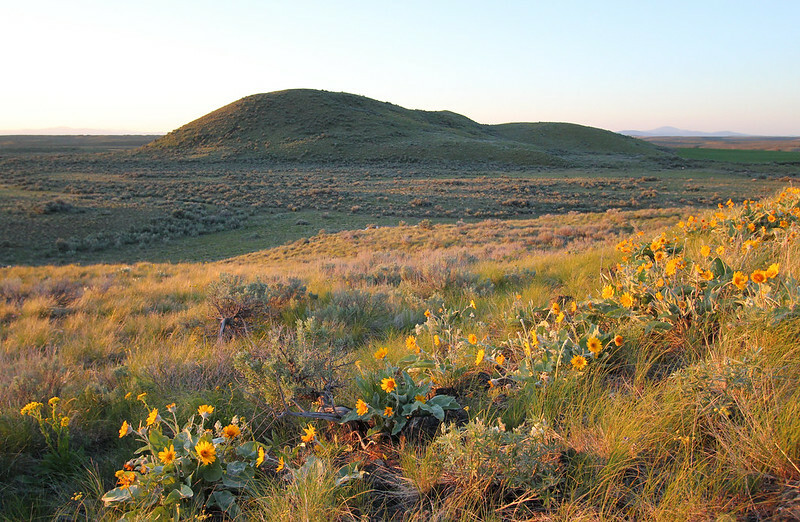 The Spiva Butte Nature Preserve consists of some of the most pristine shrub-steppe habitat left in Washington State. The 1,396-acre preserve provides critical habitat for one of the last two viable sage-grouse populations remaining in the state. With its three springs, four-acre Crosetto Lake, and miles of riparian corridors, the healthy habitat of the Preserve is home to an amazing diversity of birds, wildlife and plants. The primary stewardship goal for this property is to protect and maintain high-quality wildlife habitat. There is no public access to the preserve at this time except on CDLT field trips or by written permission from CDLT. The Land Trust will offer guided tours once a stewardship management plan is in place.